Home and community safety course, training, resources and continuing professional development for occupational therapists and other healthcare professionals interested in falls prevention. Learn how to prevent falls in older patients using evidence-based interventions. QI&CPD accredited courses, resources and GP clinical audit available. An online tool that assists GPs screen patients for fall risks and recommend tailored interventions. One in three people aged 65+ years fall every year. Many people believe falls ‘just happen’ as you get older, but falls aren’t an inevitable part of ageing. Research shows that there are many things that general practitioners (GPs), occupational therapists (OTs) and other allied healthcare professionals can do to reduce and prevent falls. The falls prevention workshops and clinical audits on this site are designed to help GPs and allied healthcare professionals identify patients at risk of falling. Practitioners are then taught how to challenge patient assumptions, methodically identify risks, then tailor interventions and referrals to meet the individual needs of their patients. 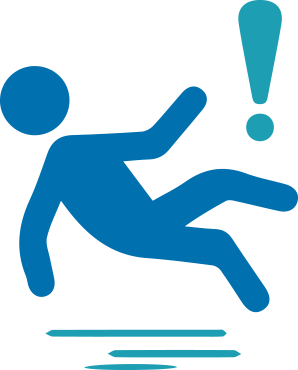 The free GP Fall Risk Assessment Tool is particularly useful for assessing a patient’s likelihood of tripping and falling. This assessment tool is GP-tested and has been developed using the latest falls prevention research evidence. The site also features a large selection of falls prevention resources designed to reduce falls in older people living in the community. This workshop is very comprehensive and has really enhanced my clinical practice. I really enjoyed the case studies... which supported me to bring familiar elements together with more complex clinical reasoning and new information. I’ve learned that falls are preventable! And I now know what I can do to help older people reduce their fall risk.